This website makes it easy for anyone expecting a baby to create a baby pool. A "baby pool" or "baby sweeps" is a fun way to bring family and friends together to celebrate the birth of a child. Friends and family guess the gender, birthday, birth time, weight, length, hair color and eye color. At WhatsInMyBelly.com, its free and easy to set up a full featured baby pool in minutes. If you have a Facebook account, simply click on the "Facebook Login" button to get started. If you don't have a Facebook account you can still sign up using the "Signup" link. Once you've started a pool its easy to invite your friends and family to join in. You can share by e-mail, Facebook or even print out cards to hand out. 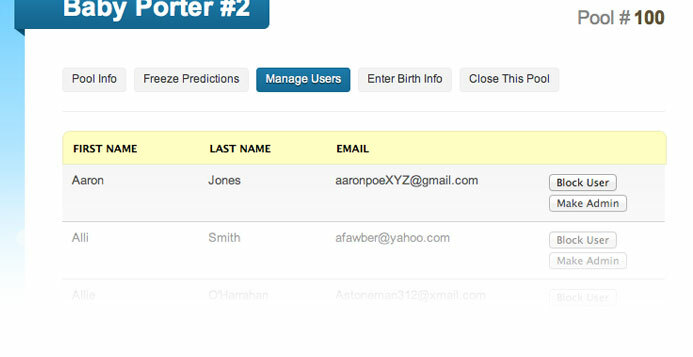 Your friends and family can make predictions without signing up or sharing their email address. 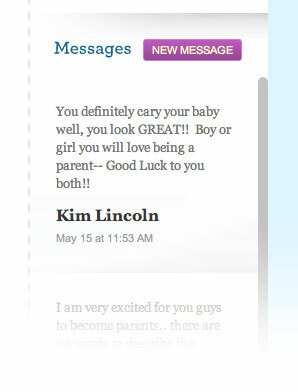 Everyone has someone in their family who doesn't use e-mail or Facebook. They can now participate in the game because pool administrators can add in predictions through the control panel. You no longer need everyone to sign-up on the site to make a prediction. You can use our printable baby pool template to collect predictions and enter them into your pool one-by-one. Easily see the breakdown of your friends and family members predictions with visual 3D graphs. You can even click on the graphs to see a list of users who selected that item. See a list of all your predictions surrounding the due date. Anyone participating in your pool can leave messages for you and other participants. Pool administrators maintain full control of their pools. You can make other participants administrators, block users, freeze predictions, or even delete the pool completely. All baby pools can be public or private. Administrators can change that setting at any time. All users can turn email notifications on or off at any time. 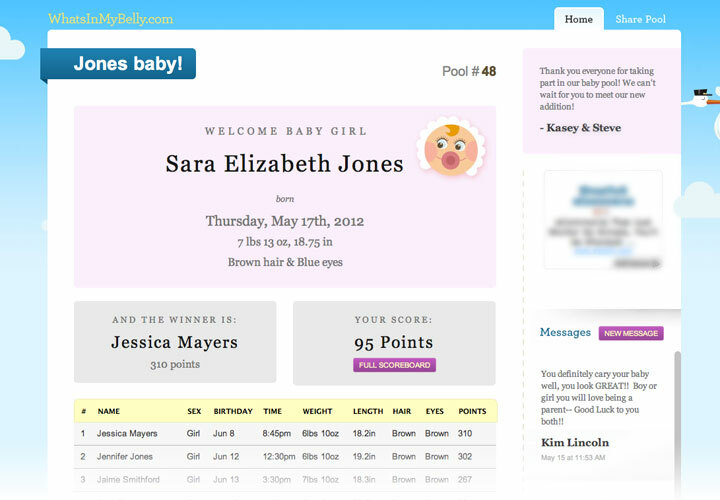 After the baby is born, simply enter the birth information and the website totals up everyone's points and declares a winner.